Thursday Therapy – Big and Small! 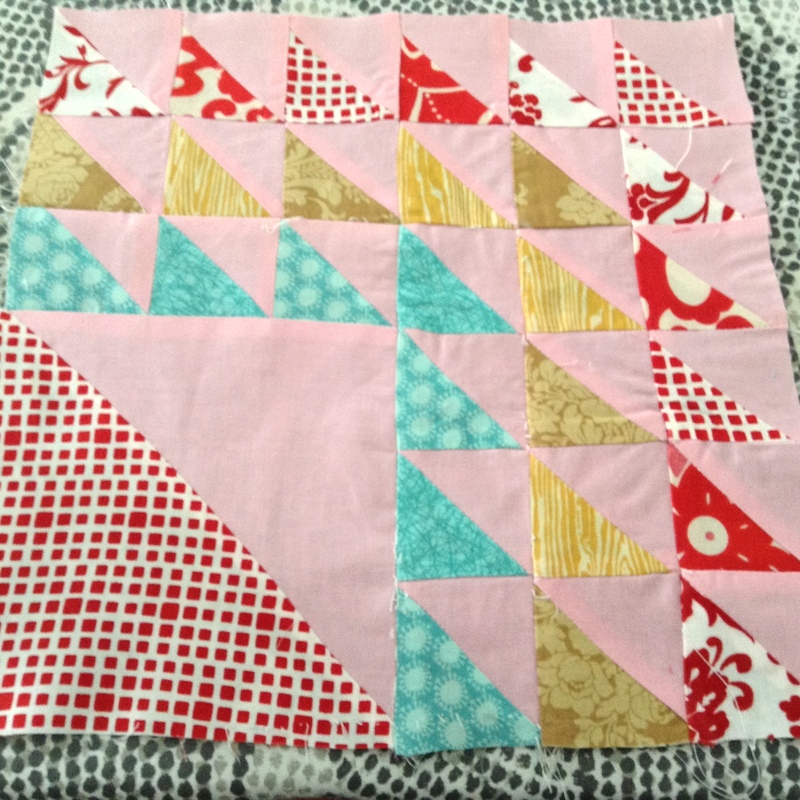 Slowly but surely I am getting caught up on the goal of completing a block for my aqua and red 2014 sampler quilt every week. Right now I am only 5 blocks (5 weeks) behind. 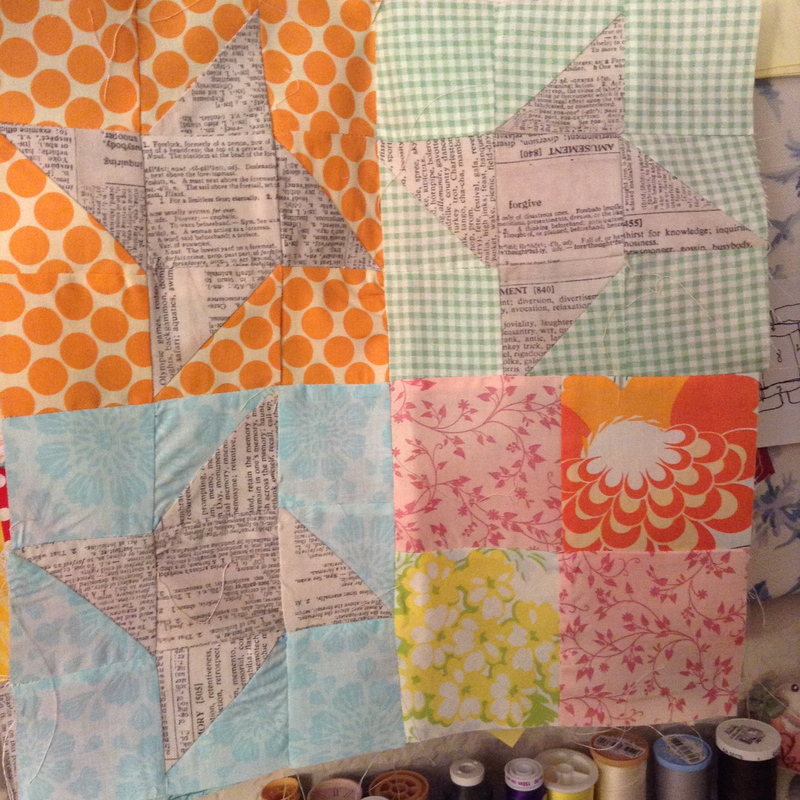 And then a giant (24″) Carpenter’s Square… the third carpenter’s square I have made this year… definitely one of my favorite star patterns. I think they turned out pretty well. 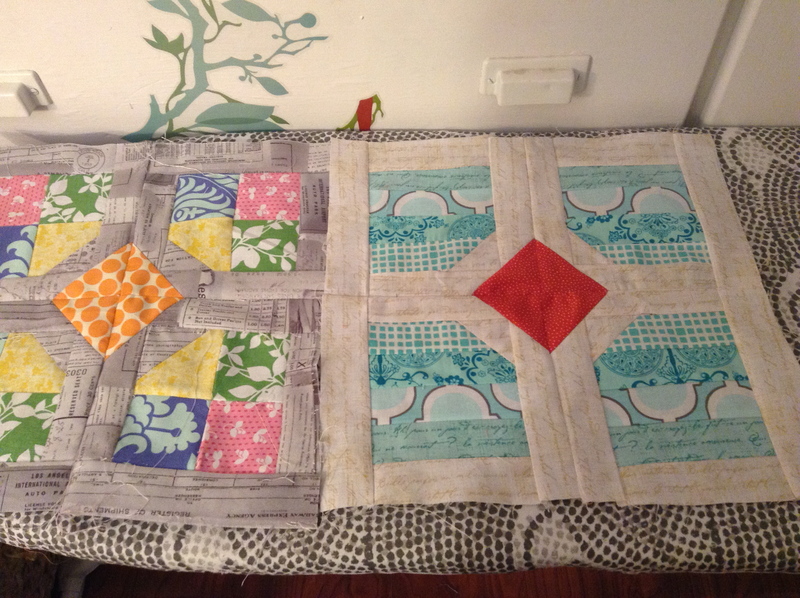 Two are from Shape Workshop for Quilters and three are from the 2014 Aurifil BOM. I have been a terrible blogger, blah, blah, blah…. Today is a two-fer. 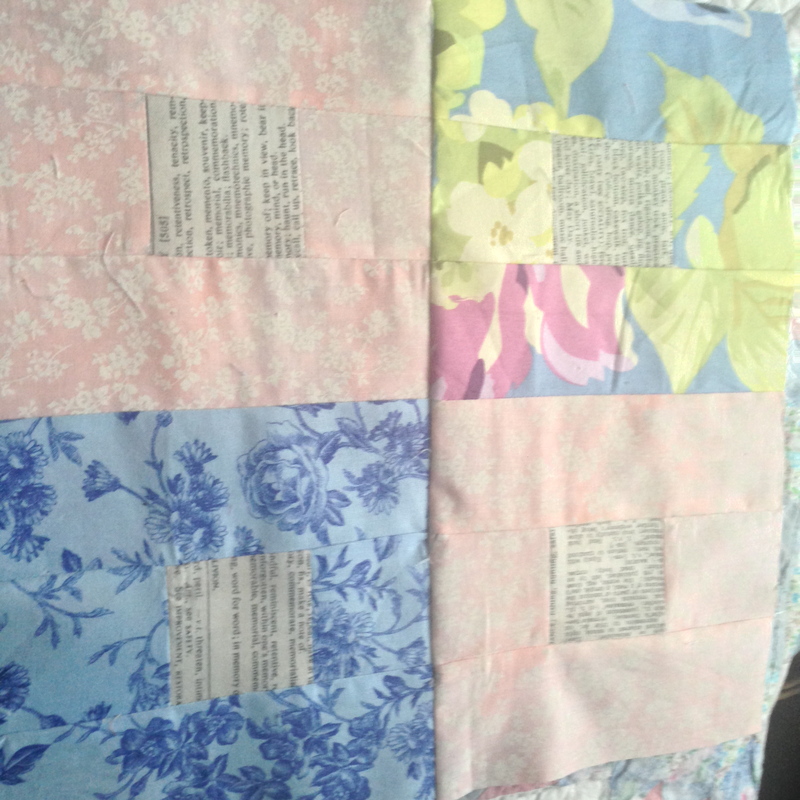 I missed posting last week – I didn’t miss sewing, I just missed posting. 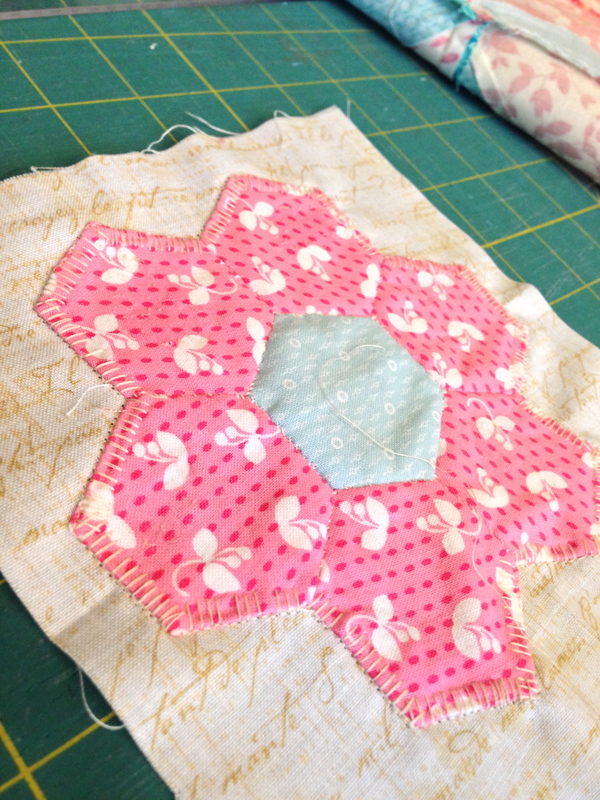 Last week I made this little beauty – the super versatile gift box block pattern from Shape Workshop. So fun to make – and I *might* have been in the Valentine’s Day spirit when I worked on this one. Lots of pinks and reds. A couple months ago I made this simpler version. 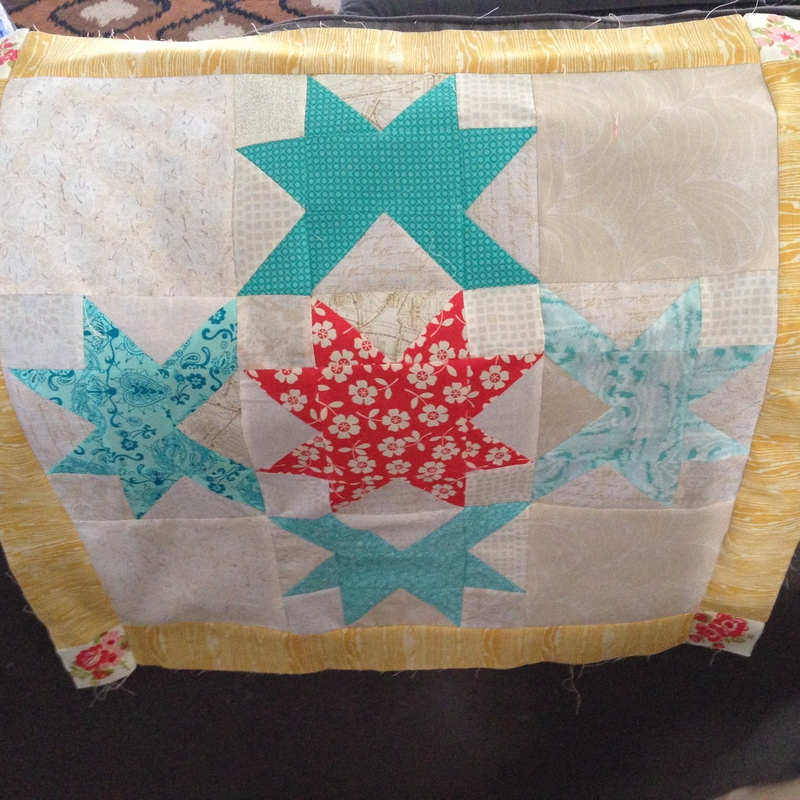 And I made this entire baby quilt using the pattern. 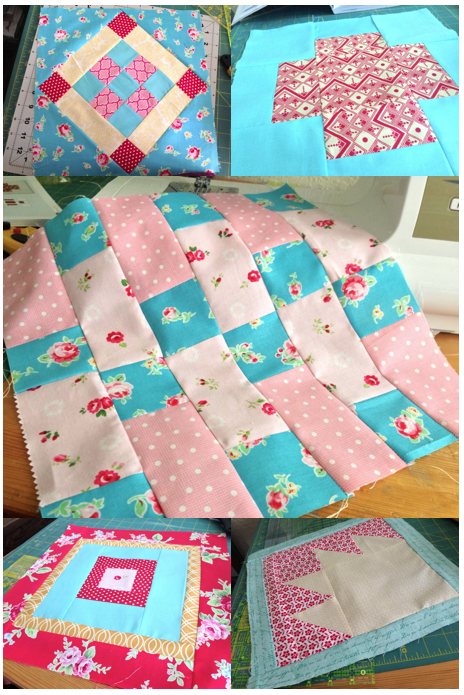 As I continue to sew, sew, sew, I am pushing myself with lots of techniques and patterns. But it is nice to come back to things that I know I can’t jack up. Since I got home from work yesterday, all I have wanted to do is dig into the Kristyne Czepuryk Blogger’s Choice bundle that showed up in the mail yesterday. 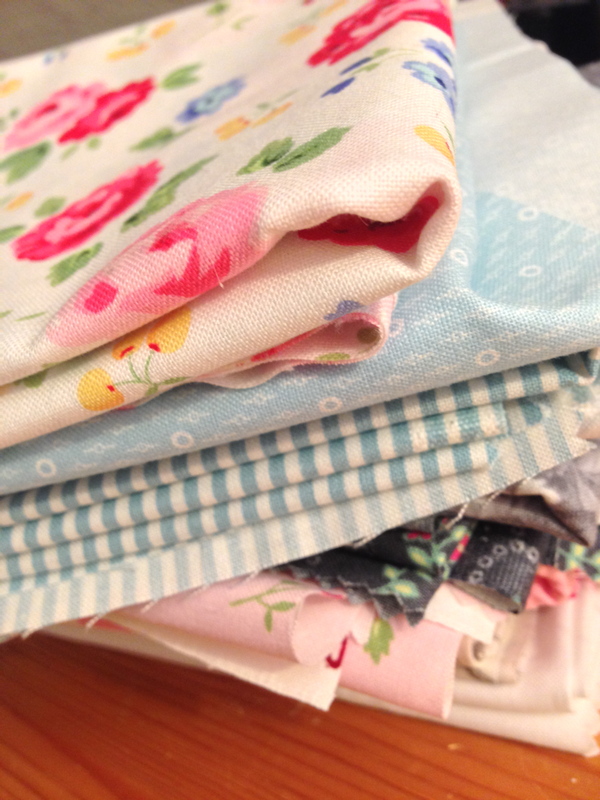 I drifted off dreaming of those dreamy fabrics. But I made a committment to myself to clean my closet today. And I did. But after that herculean task, I was exhausted. But the call of the fabric was too much. So I thought I would do an easy block. Sigh. Don’t cut and sew tired, my friends. I sewed the little triangles onto the wrong ends. Seam rip. I cut the 45 degree angle on the back instead of the front of one of the rectangles. Seam rip. I seamed rip the wrong seam. Seam rip. 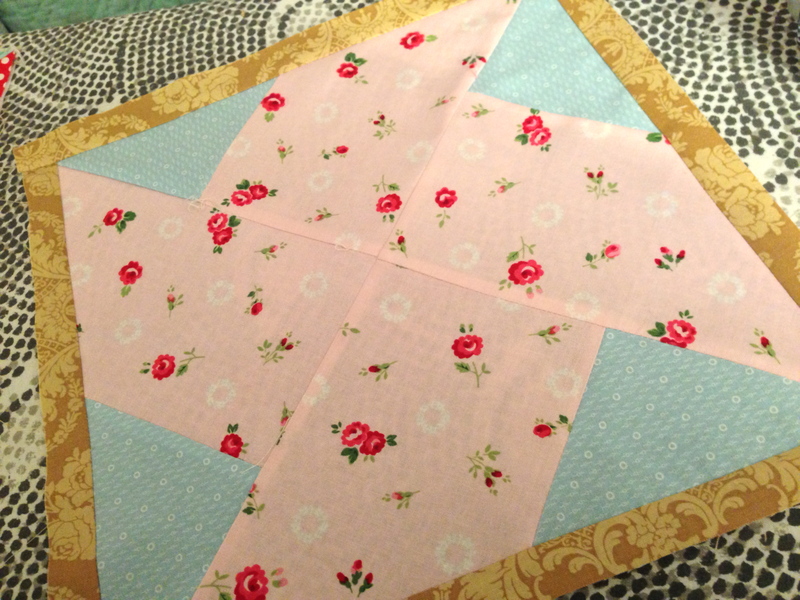 And then I ended up with an 11.5 inch square. So a little gold border got added. 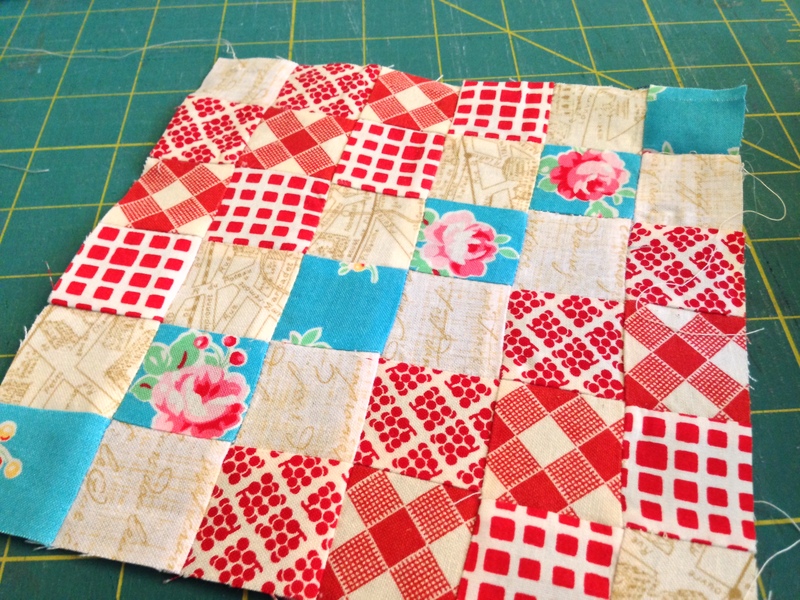 This ended up being an adorable little block, even with the random border. And now I am going to go to bed. Thursday Therapy: Who Wore It Better? 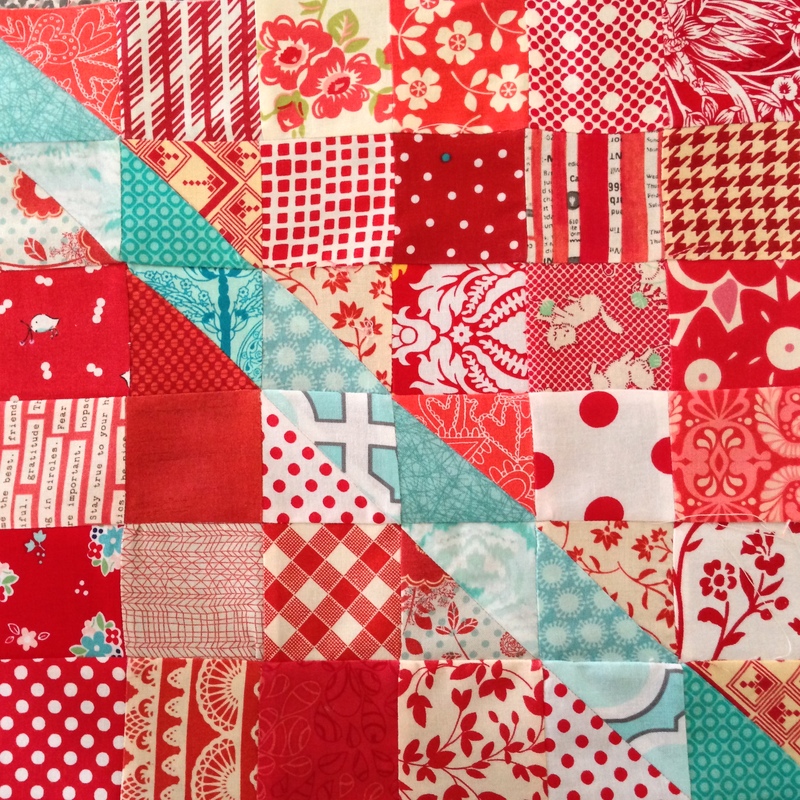 I have been recreating some of the blocks I have created for Thursday Therapy in my color crush colors – and I think I am going to abandon the old color palette for this new color palette for my weekly blocks… what do you think – who wore it better – scrappy brights or grown-up aqua and red? 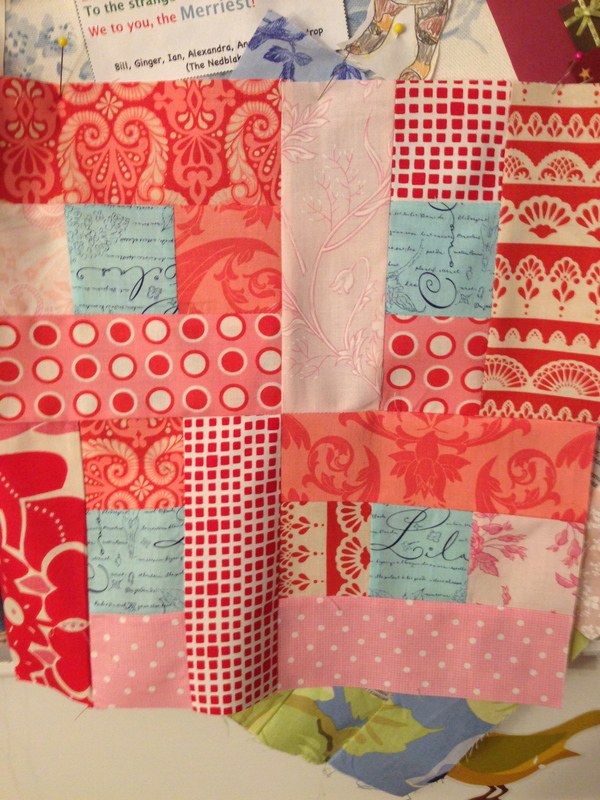 Both are lovely – in this block I can’t decide. No, doubt the one on the right – just so much more composed. I think it is mostly because of the palette. So now I have 4 blocks in the “old” color palette – that because of my plodding patchworking skills, took me hours to make. I think I will keep them for a future Project Linus quilt. I really needed some therapy tonight. I got really bad news at work today. I am frazzled and sad. 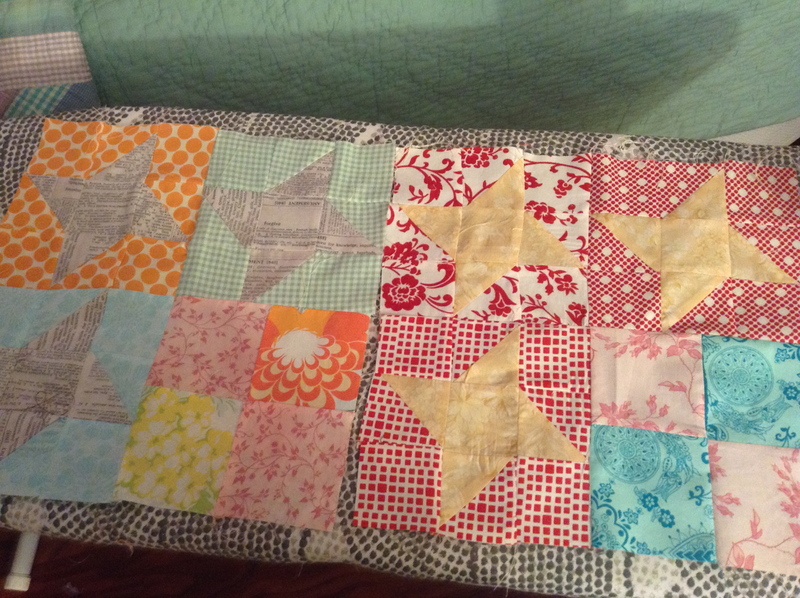 But I didn’t realize how much until I was about 1/2 way through this block and I started crying. Messy, heavy gasp crying. You know, the good stuff? I had kept it together all day. And then I couldn’t any more. And so the points on the green pinwheel are totally nonexistent. I may go back and fix them… I am not sure yet. It is a great block. 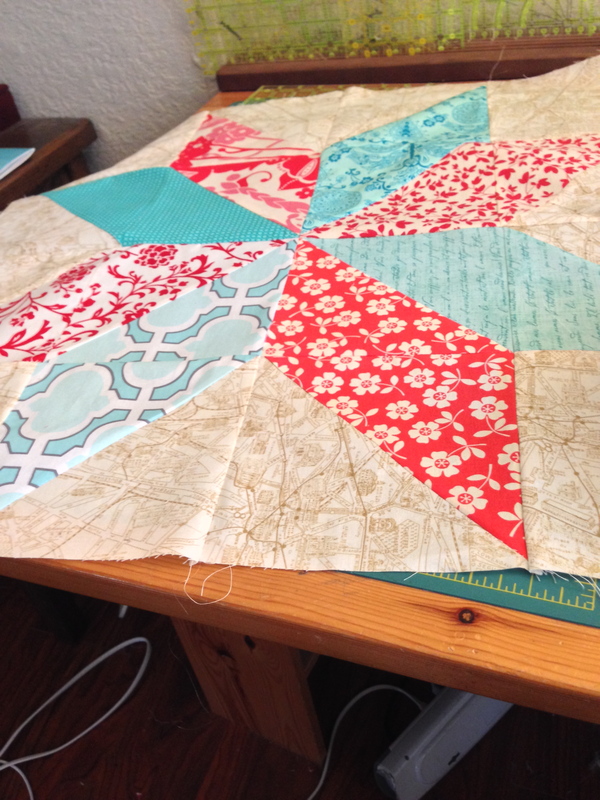 I love the whimsy of the four patch instead of a fourth pinwheel.